Have you set your March goals yet? Join in on the monthly goals link up hosted by My So-Called Chaos and A Peek at Karen’s World and get inspired by others working on and meeting their goals. I’m going to try to post my goals and updates every month. I know that staying accountable helps me so by sharing with you all, I can keep on track. I have a business accountability partner and she and I wrote an accountability partnership guide on our experience. You’ll have to check it out! Read at least 15 min. a day. Hang paintings and picture in guest room. Pick colors for master bathroom. Kev to start remodeling master bathroom. Do a lot of work on digital product to be complete by end of April (Roatan Travel Guide) for our family travel blog at Newton’s Travels. Keep up blogging schedule on 2 out of 3 blogs. Plan out March and April posts. Get Turbo Tax and start working on taxes. Make wiser food choices on vacation. Now that I have health insurance and am paying out the wazoo (thanks to the NOT so affordable Healthcare Act blah), I need to find a doctor. I know there is a lot more I want to accomplish but for now this is what I have. This is a crazy month so I’ll do my best. 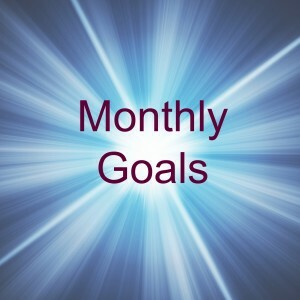 I’m so glad you decided to join us in the monthly goals! You definitely have some really good ones here. Good luck this month! Thanks so much for letting me join in, Karen!